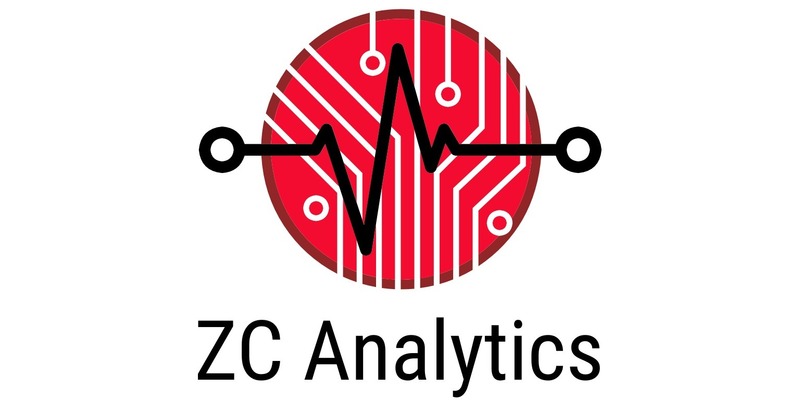 ZC Analytics was very excited to support the 9th annual IEEE Integrated STEM Education Conference (ISEC) held on March 16th, 2019 at Princeton University in New Jersey. Thanks to all of the attendees and the students and faculty we were lucky to meet during our visit to Princeton! The Integrated STEM Education Conference is known for featuring cutting-edge research and experiences with integrated approaches to the study of science, math, and technology through experiences and activities based in engineering and other design disciplines. Generation Z—those who were born between the mid-1990s and early 2000s—are more often turning to trade schools to avoid the skyrocketing student debt crisis and hone skills that translate directly into jobs, from electrical engineering to cosmetology. While the power of trade unions has dwindled, and societal value still favors more elite professions, young students are finding themselves drawn to stable paychecks in fields where there’s an obvious need. First, log data. Then, email that data to a device that has Excel. The data log will be in *.csv file format. Here’s the excel file that was used to graph the waveforms. Please use it as a reference. The analog is a bit easier than the digital. The digital waveforms require Rows 4-8. Because, Excel isn’t smart enough to translate hexadecimals and you are. Plot the graph. Now, you can both post-process the data and re-visualize it for your viewing pleasure!! Oscium revolutionized test and measurement with the introduction of the first capacitive touchscreen oscilloscope. Martin Rowe of EDN Network admits to asking every other oscilloscope company “when are you going to make your oscilloscopes work like Oscium?” Oscium continues to make waves not just in user experience but now in platform access. Check out our fun video and the new iMSO-204x today! iMSO software is free to download, regardless of platform. There are no software license fees or limit to the number of hosts that can have the software. Test drive the user experience today: iOS, Android, PC, Mac. iMSO-204x hardware can be purchased for $399.97 from Oscium directly or from one of our our partners. Visit us at oscium.com to purchase or for more information. 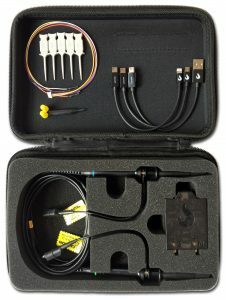 Oscium delivers innovative test equipment accessories that connect to a smartphone or tablet transforming the host device into a portable troubleshooting tool for field technicians. Hardware can be purchased from Oscium and free software apps are downloaded on either Google Play or in the Apple App Store. Oscium has been delighting customers since 2010 and currently offers the following products for purchase: LogiScope (logic analyzer), iMSO-204x and iMSO-104 (handheld oscilloscopes), WiPry-Pro Combo (combination spectrum analyzer & dynamic power meter) and WiPry 5x [WiFi Spectrum Analyzer (2.4 & 5 GHz) with Cross Platform Support]. The Future of Test Equipment is Here. © 2019 ZC Analytics All Rights Reserved.